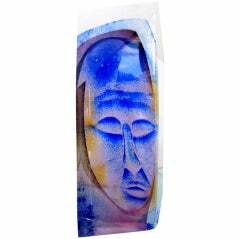 Nouvel Studio presents the series “Katsinas” by the Mexican artist Edgar Orlaineta who has done a fantastic reinterpretation of the katsina or kachina in glass, from the Hopi people of northeastern Arizona. The mystique of these dolls - formerly employed as a link between immortal beings - has been lost over the years, so Edgar decided to take up the tradition that surrounds them and transform it into beautiful glass sculptures. 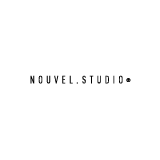 Nouvel Studio® originates and evolves as an artistic workshop dedicated to experimentation and development in glass. Glass and its color reflect our philosophy, the traditional process allows us to create pieces with the Nouvel Studio® trademark: pure, warm, global and timeless. Unique pieces and limited editions expands the frontiers opening the door of the creative laboratory to art and signature design. Kneip "Pat Vol 80", 2018 Ashsood, steel, copper. Kneip "Pat Vol 81", 2018. Ashwood, steel, copper.